My 2016 in Books and Graphic Novels, Part 2 of 2 « Midlife Crisis Crossover! My ten personal favorites from the pile of 38, but not the only good ones in there. Time again for the annual entry in which I remind myself how much I like reading things besides monthly comics, magazines, and tweets by self-promoters who pretended to care about anything I wrote exactly once each. Despite the lack of MCC entries about my reading matter, I’m always working on at least two books at a time in my ever-diminishing reading time. I refrain from full-on book reviews because nine times out of ten I’m finishing a given work decades after the rest of the world is already done and moved on from it. I don’t always care about site traffic, but when I do, it usually means leaving some extended thoughts and opinions unwritten due to irrelevance. 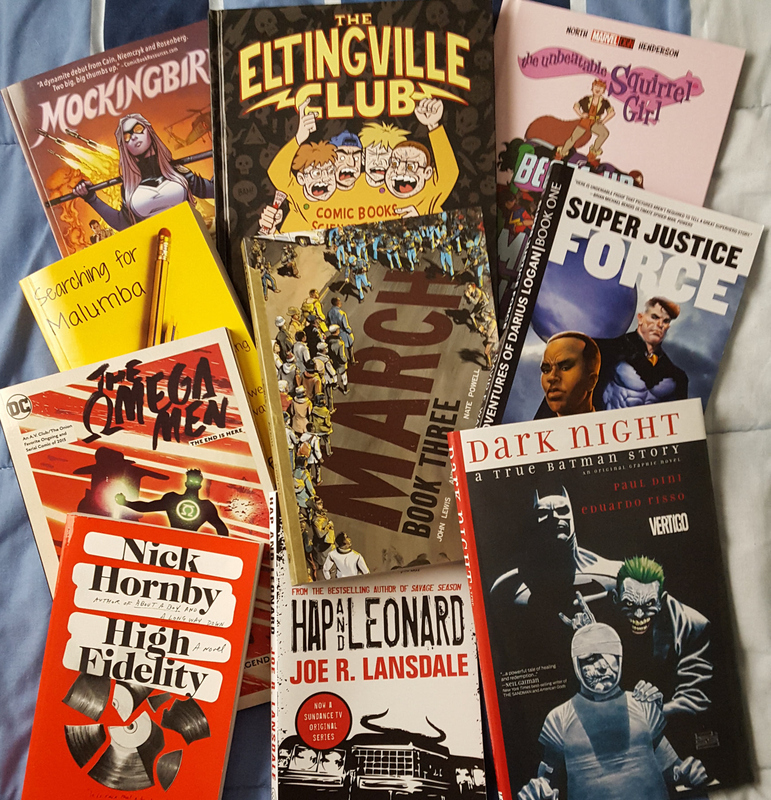 Presented over this entry and the next is my full list of books, graphic novels, and trade collections that I finished reading in 2016, mostly but not entirely in order of completion. As I whittle down the never-ending stack I’ve been stockpiling for literal decades, my long-term hope before I turn 70 is to get to the point where my reading list is more than, say, 40% new releases every year. That’s a lofty goal, but I can dream. New for this year: I expanded the list to a full capsule summary apiece, because logophilia. I’ve divided the list into a two-part miniseries to post on back-to-back evenings (like they used to do with the ’66 Batman TV show) in order to ease up on the word count for busier readers. 20. John Jackson Miller, Star Trek: the Next Generation: Takedown. Admiral Riker attends a peace conference with representatives from other warring factions in the Trek universe, becomes nigh-omnipotent, begins disabling communication arrays around the quadrant, and only the combined efforts of Captain Picard and Captain Ezri Dax can stop him. Above-average for a Trek novel, though the ultimate villains are from a Next Generation episode I can’t recall watching. The book’s true breakout star is the Romulan equivalent of a military middle-management schlub, ignored and mocked by his peers and superiors alike, desperately scrounging for recognition and power, overdosing when he finally gets some. I wanted more of him and 60% less of all the other original non-TV characters that filled out this above-average Trek novel. 21. Owen Gleiberman, Movie Freak: My Life Watching Movies. Deeply introspective memoir by Entertainment Weekly‘s original film critic, who stuck with the magazine for 24 years until changing times, reduced print space, and anti-intellectual new management paved the road for his exit. Along with Roger Ebert, Gleiberman is one of the critics I followed the longest, though the book delves into waaaaaaaaaaaaaaaaaaaaaaay more of his sexual history than I ever needed or wanted. But if you’ve ever subscribed to EW for any length of time and charted its gradual downgrade from glossy proto-hipster zine to disposable corporate puff-piece pamphlet, the behind-the-scenes tell-all aspects are informative and riveting in spots, especially whenever his reviews made EW’s Time-Warner overlords cry. 22. Jai Nitz, Phil Hester, and Ande Parks, El Diablo: The Haunted Horseman. Before the Suicide Squad movie, there was a poorly selling miniseries that upended the original cowboy-hero concept and bestowed it upon a hot-headed Latino gang-banger whose trip from villain to antihero is nowhere near as poignant as the movie version’s. He’s a grating idiot who spouts tough-punk anti-establishment clichés when he’s not simply 24-7 revenging guy. When he gets to fight Uncle Sam and the Freedom Fighters, his spouting gets stupider and more offensive and I wanted Uncle Sam or even Doll-Man to feed him his own teeth. Making matters worse, the six-issue miniseries tried to stuff in 24 issues’ worth of characters and plot points, skipping scenes between scenes to create a severely disjointed read that feels more like the Twitter Moments version of a book instead of an actual narrative. 23. Joe R. Lansdale, Hap & Leonard. When I was a teen, the Texas author was all about horror with whacked-out fare like The Drive-In and the story that would become the Bruce Campbell movie Bubba Ho-Tep. Sometime when I wasn’t paying attention he shifted gears and now he has a long-running southern-fried crime drama series on his hands that was recently adapted into a Sundance Channel series costarring Omar from The Wire. Hap is a rough-‘n’-tumble white guy who can punch well, shoot better, and take violent odd jobs from the local private detective. Leonard is his best friend, a gay black Republican Vietnam vet. They fight crime with self-defense and sometimes also crime! This particular book is a collection of H&L short stories, all limber and funny, bloody R-rated medium-boiled rural gunslinging and fist-fighting shenanigans, with snarky brotherly camaraderie and whatnot. 24. Tom King and Barnaby Bagenda, The Omega Men: The End Is Here. Back in the ’80s, the Omega Men were an alien rebel alliance super-team from various planets united to fight their nefarious overlords. The plot may sound familiar to anyone who’s ever watched a movie. In this reboot, Our Heroes are now terrorists aiming to win if not outright conquer by any means necessary, even if it means manipulating an actual hero like Kyle Rayner into betraying his own beliefs. Writer Tom King, a CIA operative with an extensive literature background who’s now one of the best new writers on the comics scene, turns a bunch of C-listers into the starring antiheroes of a jarring cautionary tale about the nature of rebellion and the moral compromises that win or lose it. This was the absolute best result to come out of DC’s New 52. 25. Greg Weisman, Rain of the Ghosts. YA novel from the celebrated mind behind Disney’s Gargoyles, about a girl who lives on a tropical island outside the Bermuda Triangle, inherits a bracelet from her grandpa that lets her sees ghosts, and finds herself embroiled in a strange mission involving a WWII plane that disappeared with Grandpa’s team on board. Intended as the first in a series (of course), it’s light and occasionally spooky, has hardly any white characters in it, but made me roll my eyes when it literally ended with a happy dance party. 26. Neil Gaiman, The Ocean at the End of the Lane. Boy meets girl, girl belongs to the same maiden-mother-crone triumvirate that pops up in every other Gaiman story, evil creature wiggles its way into our universe and threatens to ruin everything, and the eventual solution promises to do even worse. When the creature turns itself into a conniving harlot of a nanny that takes over our li’l hero’s everyday life, Gaiman strikes hard into one of the rawest possible nerves in a kid today — the fear of watching their family torn apart from within. Poetic and unsettling at the same time, Gaiman’s favorite double-major. 27. Nick Hornby, High Fidelity. Americans may be more familiar with the Stephen Frears film adaptation starring John Cusack and Jack Black (one of my Top 5 Films From The Last 10 Years), but the original British novel delves more deeply into its unreliable narrator, a protagonist who doesn’t realize he’s a horrible, selfish, sexist loser for the first couple hundred pages. The book has some notable structural differences (Cusack’s epiphany near the end of the film appears within the first 100 pages), and our pig Rob is so boorish and British at the same time that the book really clicked once I decided he should have the voice of Anthony LaPaglia as Daphne’s brother Simon from Frasier. Hornby’s prose contains more nuance than was translated into the film, and was more than strong enough to support my imaginary voice casting. 28. David F. Walker, The Adventures of Darius Logan, Book One: Super Justice Force. Before he became one of the few nonwhite writers current working for Marvel or DC, Walker cut his teeth on the first book in a proposed YA series about a former honor student who turns hoodlum after his entire family dies in a calamitous skirmish between super-heroes and a rogue robot army. When he punches the wrong cop at the wrong time for the worst reason, a super-hero he once met gets him out of a trial and into an experimental work-release program that, instead of sending him to jail and lifelong failure, sets him up with a home and menial job at the nearest super-team HQ. Either he plays at Suicide Squad: Cleanup Crew or he goes back to the slammer. It’s occasionally predictable (by page 60 one character might as well wear a black cowboy hat labeled EVIL BACKSTABBER) and there’s one chapter that seems more poorly proofread than all the rest, but thoughtful in its takes on criminal reform, recidivism, and the hard-hearted cops who don’t believe people can grow or change, who think anyone charged with a felony might as well be tossed in a woodchipper. 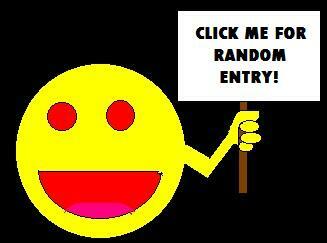 Bonus points for fascinating portrayals of repentant villains and the heroes who accept their change of heart. 29. Stan Lee with Peter David and Colleen Doran, Amazing Fantastic Incredible: A Marvelous Memoir. Naturally the long-awaited autobiography of Stan “The Man” Lee is a graphic novel. Lee recounts highlights of his life from growing up poor in Washington Heights to finding random jobs as a young adult, from his entry into the nascent comics medium to that momentous occasion when Marvel became a thing. We know up front his memories may have differed over the decades, and I’m sure a lot of his collaborators would have second opinions on some of their stories here. Lee also glosses over some of his later failures (about one publishing disaster in particular, he candidly admits he’d rather not talk about it), but even when you know some things have been left out, downplayed, or gotten 100% wrong, the bits that ring true, combined with Lee’s famous huckster enthusiasm, make for anecdotes both hyperbolic and affecting, and not always the shameless puff piece you’d expect. 30/31. John Lewis, Andrew Aydin, and Nate Powell, March, Books Two and Three. The graphic-novel autobiography of Georgia Congressman John Lewis, one of the few surviving leaders of the 1960s Civil Rights movement, continues where his childhood left off. #2 focuses on his young-adult adventures in learning the techniques of nonviolent civil disobedience and enduring the resulting damage from all those Southern racists, whether at marches, diner sit-ins, “freedom rides”, or multiple times spent in racist jails meant to quiet him and anyone associated with him. #3 picks up with the Sixteenth Street Baptist Church bombing in Birmingham in ’63 and covers the timeline up to the signing of the Voting Rights Act in ’65, packing in far more detail than Ava DuVernay’s Selma did. Essential reading for fans of the shameful side of American history and those who persevered through it. 32. Chelsea Cain, Kate Niemcyzk, et al., Mockingbird vol. 1: I Can Explain. The former Avenger and SHIELD agent with a poorly selling series is now the star of a bestselling trade collecting the first half of the same series, all because dudes online turned their hate-goggles toward her and lost their minds. It’s fun, not-so-straightforwardly structured super-hero action-adventure in which the woman is the smartest character in the room, so I guess that’s an online reaction that’s gonna happen, though it shouldn’t because this is really good, self-aware entertainment. 33. Mike Baron and Steve Rude, Nexus: Into the Past. New adventures starring the ’80s indie-comic sci-fi super-executioner of mass murderers/refugee planet guardian. Fun for us old fans, maybe not an easy sell for anyone else. 34. Evan Dorkin, The Eltingville Club. One of the most savage satires of heartless, single-minded fanboys ever put to paper, about four alpha-nerds whose intense love of fantasy, sci-fi, horror, and comics take our seemingly harmless, oft-rewarding obsessions to the most selfish, offensive, damaging extremes and beyond, nearly every story ending with immature self-absorbed bro-vs.-bro slapstick savagery. A collection 20+ years in the making, from the earliest short stories dating back to 1994, to Dorkin’s final word on the subject, a two-issue Dark Horse miniseries that wrapped up their morbid, insular universe in 2015. If and when society reaches a point where “post-geek” truly becomes a thing, Eltingville needs to be among the movement’s primary textbooks. Until Squirrel Girl is brought to life on the big screen, the Marvel Cinematic Universe is a hollow sewer overflowing with the gunky dross of empty lies. 35. Ryan North and Erica Henderson, The Unbeatable Squirrel Girl Beats Up the Marvel Universe. The most awesomest Marvel super-hero of the 21st century (action! adventure! humor! trading cards! ACTUAL SCIENCE LESSONS!) 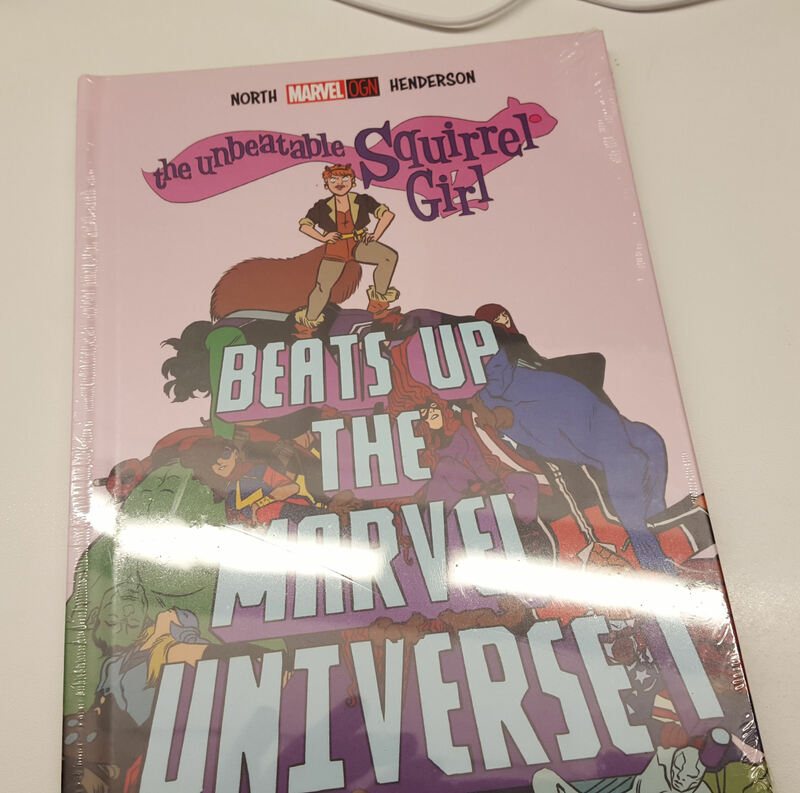 stars in her very own hardcover graphic novel, in which the titular event does indeed occur — not a hoax, not a dream, not an imaginary story, but it might not necessarily be that Squirrel Girl. As written and drawn by the same creators of the only Marvel super-hero series that my wife reads regularly, our team does an equally stellar job here, of course. 36. Brian K. Morris, Santastein. A humorous riff in the vein of Young Frankenstein and Hitchhiker’s Guide, in this version our Dr. Frankenstein is trying to build Santa Claus out of corpses, with mixed results. I have no idea if the jokes would take with younger audiences, but for my generation it feels exactly on-key, if somewhat twisted — as the author himself warned me, so I can’t say I wasn’t. FULL DISCLOSURE: the esteemed Mr. Morris and I have crossed paths at several shows (Gen Con! Indy Pop Con! Metropolis!) and his wares are eminently perusable. 37. Travis Langley, ed., Psych of the Living Dead: The Walking Dead Psychology. Langley is a psych professor/geek whose fan specialty is compiling essays by other scholarly geeks about various genre universes. Since I quit The Walking Dead partway through the season-6 premiere, I figured it was best to get through this anthology while I still had the characters fresh in mind. The contributions span both the TV and comics versions, up to and including the Whisperers, with discussions and examples teaching readers how Our Heroes exemplify Maslow’s hierarchy, masculinity narratives, clinical sociopath diagnoses, existentialism, defense mechanisms, and more. Much of this makes creator Robert Kirkman sound as smart as Grant Morrison, but if you’re interested in picking up some extra terms and getting ideas for further Wikipedia surfing, it’s thorough and largely not as dry as I’d expected. 38. Paul Dini and Eduardo Risso, Dark Night: A True Batman Story. Comics, animation, and TV writer Paul Dini was one of the next-level contributors who made Batman: The Animated Series the pioneering series that us comics fans have never shut up about. This autobiographical graphic novel tells the sickening true story of the night a pair of anonymous muggers thrashed him within an inch of his life, pulverized parts of his skull, and left him for dead. The long, painful road to recovery, from hospital to therapy to everyday terror and isolation, was overseen by his overactive imagination keeping Batman, the Joker, and other characters alive inside his head as imaginary angels and devils talking to him in the waking hours while he tried to find a way to heal and go on living. Dini bares his soul in a candid exploration of the personal weaknesses that led up to the event, that made it worse when he tried to brush it off and refuse hospital treatment, and that complicated his recovery all the more when he wouldn’t listen to anyone except those fictional voices in his head. The last book I finished in 2016 was also one of the best, most haunting works of the year.